I’m having issues with a corrupt file, the one about Air Quality. I’m annoyed that this is so, partly because I have actually, unusually, trumpeted its (the webpage’s) existence. So I feel doubly stupid at the visible lack of competence. So I’ll attempt to rebuild the file here, working through the pictures first as the most likely source of problems... 104 is the corrupt file, 107 is this, the working replacement. Right, there’s the the header picture. Okay next pic, the EPA one out, put back the three figures. They now show correctly, but all the photos won’t. EPA shows correctly on 107, not on 104. So next, the two NASA photos out, then EPA back in. Now that is weird, pasting the second photo brought all the text with it....... Undo or upload? Upload, since that is perhaps going to identify the problem. Screen text input now noticeably slowed. So that didn’t fix anything helpfully, so what do I do? How about delete all of 104 and copy the text here to that spot?? Now the screen is working very slowly, but 104 is empty and 107 loads properly on the internet. Lesson learned; use two screens (I do already, I mean use them fully) and check frequently that what I wanted published is what appears. Mind, that’s only as seen on my browser, as I keep on discovering when trying to use the uploaded maths when at school. Okay done that and changed the dates, so this is back numbered 107 but is using the space for 104 - only in my head, ‘cos a disk doesn’t work like that. Screen now fast on this file, being short, so there is / was something large attached to one of the files in 104. I still think it was / is a picture. Save, upload and then prune 104 down to its proper size. Before pruning, it is 19 pages long. After pruning, the screen speed is up to an acceptable level and the file is now only ten pages long. Long enough, then. Here goes for upload, which ought to work. It did ! It does ! Celebration, except that a little part of me says the whole corruption thing shouldn’t have happened. What I find significant about this is the scale. It is not unlike having a speedometer that reads at 200kph in a country where 40 kph is considered quite quick, or Britain where the speedo will read to 160 but 80 is officially speeding. Only worse, since we have been off this scale and the countries China would like to copy only rarely reach the yellow band. Look back at Britain’s Marylebone Street annual average of 24, which is 24 on the AQI scale, too, and wonder what Britain’s peak reading might be (and where). And while I wrote this, bjair updated just after twelve noon with a 167. No running; lunch. Rereading and editing this in 2017 I have re-jigged 104 and 106 to load less ambitious things (106 especially). However, what remains true is that sophisticated (complicated) systems can all to easily be contaminated with irrelevant material. I am hoping that, by switching to SandVox, that likleihood is reduced. 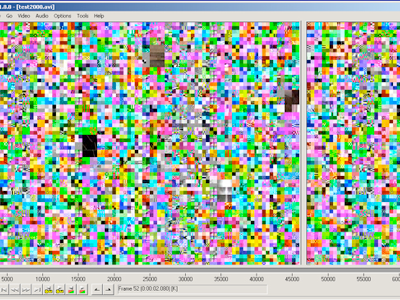 It seems obvioous to me that, given that a picture file is large in comparison to a text file (and even a Word file), the obvious place to hide an extra piece of code (wherewe might as well assume it is malicious) is within a picture, as the size of the extra will always fall within the error bounds of the picture file. Which yet again reminds me that we could quite possibly hide the population of the States witihin the population of China. Well we could hide the numbers, but not the people themselves.